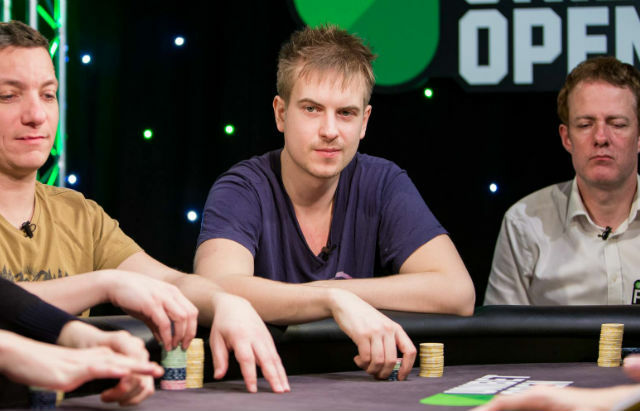 Viktor ‘Isildur1’ Blom had an impressive outing in PokerStars major tournaments this Sunday — taking down both the No Limit Hold’em and Pot Limit Omaha High Roller events for $46,722 and $14,492 respectively. Russia’s ‘veeea‘ (ranked #10 worldwide) was the runner-up in the Sunday High Roller for $35,180. The Stars Sunday Warm-Up was taken down by ‘tizzle26‘ for a cash prize of $39,407 and ‘LrdofDonkTwn‘ came out on top in the Sunday 500 for $32,664. The PokerStars Sunday Million featured a heads-up final table deal over the weekend, as ‘pokerjeff370‘was awarded $142,466 for his official first place finish and ‘tobtheking1‘ cashed for $112,466 in second. Third place went to ‘matyguillon‘ who collected $73,774 while ‘nuenen1‘finished fourth for $51,772 and Mark ‘scrubbyz’ Zajdner of Canada earned $36,332 in fifth place. ‘oi-oi-oi‘ received $19,878 for winning the High Roller Warm Up event. The other $530 buy-in NLHE High Roller on Party was won by ‘MantulaMagna‘ for $19,636. Both tournaments boasted guaranteed prize pools of $100,000 USD. ‘MalakiasCF‘ had an outstanding Sunday on 888poker, winning the $1,050 buy-in WHALE, the $215 buy-in MEGA DEEP and the Crocodile events for $33,000, $19,250 and $3,327.50 respectively. actually there are alot of ranked players that are complete sickos f tabling this sunday pretty awesome. Wish a few of the had some traning vids out.